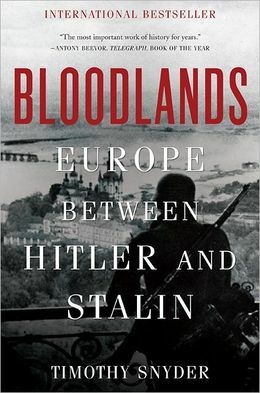 Looking to Kiev, as violent repression returns to the 20th century bloodlands of Europe (read Snyder’s excellent and haunting book, if you have not yet). It is heartbreaking. It is also an urgent cause to reflect on one of the biggest policy opportunities by the European Union. Just as the experience of the Kosovo war in 1999 led a generation of European policy makers to reflect on the costs of disengagement in the Balkans, the experience of Kiev in 2014 should lead to a reflection on the costs of disengagement in Eastern Europe. If one wants to find a date for when the EU lost the thread in this region I would suggest summer 2005. 2005 was one year after the big Central European enlargement. This remains the single biggest foreign policy success of any big power in the past 20 years. The EU – led by Germany – had done the right thing in 1997 when it decided to open accession talks with five, and in 1999 when it decided to open accession talks with another seven countries. This has remade the geopolitics of half of the continent. Germany under the Red-Green government, supported by France under Chirac and in alliance with the Prodi commission of the EU, had made this big enlargement their priority, (and a German close to the chancellor, Günter Verheugen, was put in charge of pushing it through) after 1999. But then came the great disappointment. Following the 2004 enlargement, the EU – and Germany – failed to provide leadership, vision, and a strategy. Ukraine should have been offered a clear EU perspective after the Orange Revolution – and with it, serious EU involvement to help guide its transition and focus its reforms. This chance was missed. The same offer should have been on the table in Vilnius in 2013 for Moldova and Ukraine. Another missed opportunity. The notion that continued EU enlargement was a good peace policy for the whole continent was still defended in Germany in early 2005, not only by the Red-Green coalition of Chancellor Gerhard Schröder and his foreign minister Joschka Fischer, but also by Angela Merkel’s Christian Democrats, then in opposition. In January 2005 the opposition CDU in the German Bundestag called on the Red-Green government in power to offer the Western Balkans a more concrete accession perspective (Antrag der Abgeordneten und der Fraktion der CDU, Fuer ein staerkeres Engagement der Europaeischen Union auf dem westlichen Balkan, 25 Januar 2005). Signatories included, among others, Wolfgang Schaeuble, Ruprecht Polenz, and Angela Merkel. Furthermore, in spring 2005 the CDU faction in the Bundestag, led by Angela Merkel, prepared a motion calling on the German government to also offer a concrete European perspective to Ukraine. Following the Dutch and French referenda in spring 2005, rejecting the EU Constitutional Treaty, this motion was silently buried and astonishingly never tabled! This was not based on wishful thinking, but rather on the real experience of the previous decade in Central Europe. Enlargement had helped overcome age-old suspicions. It had helped stabilise a young democracy. It had helped rebuild economies in turmoil following the collapse of communism. It also helped resolve bilateral conflicts for good. The experience of Germany and Poland was only one dramatic illustration of this promise in action. In 1990 the number of Poles who feared Germany still stood above 80 per cent. By 2009 it had fallen to 14 per cent. In 1999 in Helsinki the EU gave candidate status to Turkey. In 2000 in Zagreb, and even more explicitly in 2003 in Thessaloniki, the EU held out the promise of accession to all of the Western Balkan states. Turkey received a date for the opening of accession talks in December 2004, and EU enlargement commissioner Gunther Verheugen confided to associates at the time that he expected Turkey to likely be a full member by 2014. Following the Rose Revolution in Georgia in 2004, the idea of offering a European perspective to the first South Caucasus republic did not appear far-fetched. European flags were put up outside all of the government buildings in Tbilisi. This was all to change after summer 2005. First, the crisis over the EU’s constitutional treaty, followed by the onset of a global economic crisis in 2008, dramatically changed the policy discourse on enlargement in Europe. Almost as soon as Mark Leonard’s book praising the EU for its policy of transformation through enlargement – Why Europe will run the 21st century – was published, the book’s premise came into doubt. Inside, the EU policy makers questioned whether the Union had already over-expanded. This further undermined the EU’s self-confidence. Then came the Euro-crisis. There were concerns over populism in new member states – with the focus first on Poland, then Slovakia, and finally Hungary. The Euro-crisis after 2008 undermined the notion that EU enlargement actually changed countries “forever.” Concerns mounted over weak institutions and corruption in Romania and Bulgaria. There was intense frustration over administrative capacity in Greece, a long-time member state. However, here is the catch: enlargement has found no successor as a strategy to overcome conflicts on the European continent. All attempts to find alternative foreign policy strategies to tackle conflicts have failed. This is obvious from Ukraine to the Balkans to the South Caucasus. Tensions remain high everywhere once enlargement is put on hold and discarded. Take the Caucasus for instance. Recent years have seen a war (Georgia in 2008). There are continued casualties along the Armenian-Azerbaijani cease-fire line. The borders between the territory controlled by Georgia and the land controlled by Abkhaz and South Ossetian troops are tense. International diplomacy has resembled a string of failed initiatives by the US, Russia, Turkey, Germany or the EU whenever one of them made an effort to actually try to solve any of these seemingly intractable conflicts. This failure to find alternative policies to avert regional conflicts is the conundrum facing European policy makers today. Neither Europe nor the US have shown any evidence that they can remake either Afghanistan or the Middle East. But in South East and Eastern Europe, all the tools exist to prevent a return to the tragedies of the 20th century. In this case, it really is a matter of will and vision. Or sadly, lack thereof, as we see now in Kiev. In the Western Balkans the process of enlargement linked to conflict has produced the most impressive results for EU foreign policy anywhere in the world, post 1999. (This too might be put at risk unless enlargement retains its mobilising power for reforms). In the South Caucasus the absence of even a vague promise of enlargement coincides with paralysis, frozen conflicts, closed borders, and rising regional mistrust. As for Ukraine, the images from Kiev speak for themselves. Where just recently peaceful crowds were waving the European flag, snipers have moved in. Enlargement has stabilized the continent like no other policy. There is still demand for it. And yet, for now, there is no supply. And so today, ten years after 2004, there is a choice again between two courses of action in the face of failure. One seems easier in the short term: to resign. To note that “the late 90s are over,” that enlargement has “not really worked” (as if the EU crises today had been caused by Bulgarian accession), that it cannot be defended in front of sceptical publics, that the EU lacks leaders. The alternative option is to recognise and explain, again and again, what a nightmare of insecurity a small EU would face today. One in which Bulgaria, Romania, and certain Baltic countries would not have been admitted, and no promise would have been made to Serbia and other Balkan states in 2003 at the EU Thessaloniki summit. It is to make a strong case to offer a membership perspective to Moldova and Georgia today – and expect them to meet the Copenhagen political criteria. To maintain the pan-European instruments to defend democracy also in the East – ODIHR for election monitoring, the Council of Europe (today almost farcically useless in the East). To take a serious look at the instruments the EU is currently using – in Turkey, in the Balkans – and sharpen them. For the EU to use all available tools – visa bans, competition policy, support to independent media – to confront the Russian vision of “managed democracy” (which is just neo-autocracy). To fight for release of all political prisoners. And to focus on the East not just when the streets are burning… and not only in Vilnius or Stockholm, but also in Madrid and Rome. This is still the only credible alternative to a return to 20th century horrors. And the cheapest security and foreign policy there is for the EU. Michael Emerson , “The Black Sea as Epicentre of the Aftershocks of the EU’s Earthquake”, CEPS Policy Brief 79, July 2005, p. 3.